This pattern is a classic sign that the relationship is in trouble. The silent treatment is part of one of the most common and most toxic patterns in a relationship. It is part of what psychologists call a ‘demand-withdraw’ pattern. One partner makes criticisms, complaints and requests, while the other withdraws, or gives them the silent treatment. Often the partner making the demands is the woman and the partner withdrawing is the man. However, it makes no difference which way around it is, the pattern is just as damaging. Unfortunately this pattern is very hard to escape from. 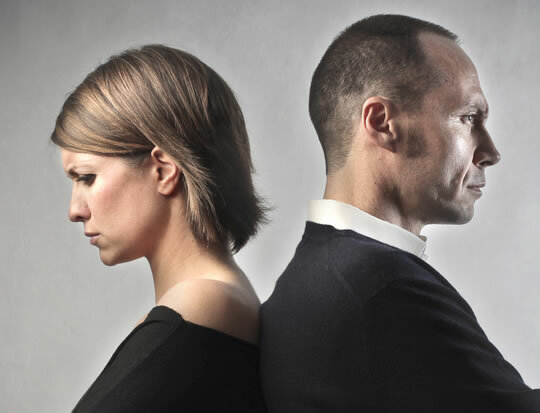 “It’s the most common pattern of conflict in marriage or any committed, established romantic relationship. The researchers analysed 74 separate studies including over 14,000 people. It showed that couples who displayed the demand-withdraw pattern had the worst relationship satisfaction, along with lower intimacy and poor communication. Couples that experienced this pattern also saw higher anxiety and aggression. They even suffered physical problems like bowel, erectile and urinary dysfunction. “Partners get locked in this pattern, largely because they each see the other as the cause. “One of the most important things we found is that even though wife-demand/husband-withdraw occurs more frequently, it’s not more or less damaging. The study was published in the journal Communication Monographs (Schrodt et al., 2014).